Just finished the basement and am looking for an afordable 50" or so plasma, price range around $1,000.00 +/-, looking at the Panasonic viera, any other suggestions welcome. 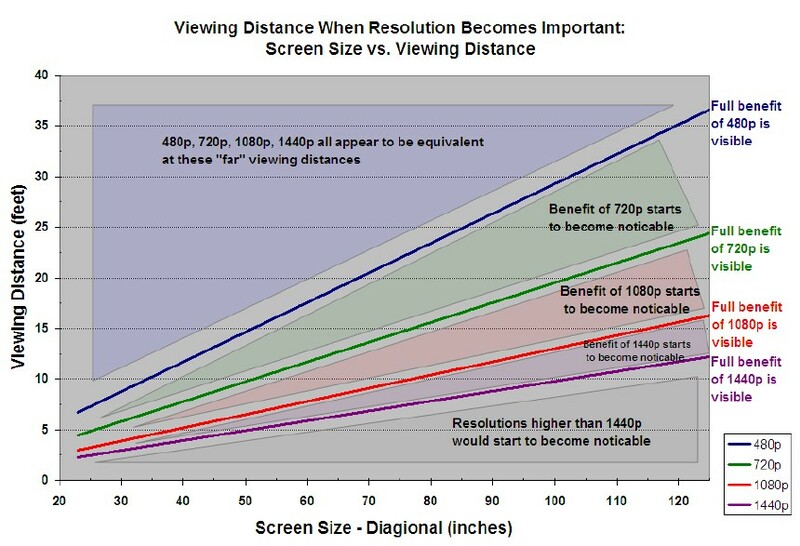 What about the 1080 vs 720, the seated viewing area will be about 8-9' away, I don't want to buy outdated technology, but I also don't want to spend money for the sake of it, I don't have a blue ray player yet but intend on getting one, and for now it will be hooked to non high def cable signal. i don't own a 1080p tv (still on 720), so I can't answer that one. But I will ask why you won't be feeding it a high def cable signal? that's fair, I am cheap, don't care about sports that much, and figure with our second child due at the end of next month there is little need to spend the xtra money each month for the amount of tv I watch. Now let me say that I firmly beleive in buying quality I don't want to buy something and be limited say in 6 months if I want to add high def to my cable. The main purpose is for movies which I plan on picking up a blueray player and maybe getting netflix or something. The space is really ideal for a plasma almost no natural light where the tv will be mounted, the only thing I am worried about is the buzzing some have complained about in reviews, the tv you recomended is 999.00 at B & H so maybe I willl go that route. Thanks for the input so far. Keep in mind that you can receive the networks in HD with a simple antenna. that's fair, I am cheap, don't care about sports that much, and figure with our second child due at the end of next month there is little need to spend the xtra money each month for the amount of tv I watch. Panasonic is one of the oldest manufacturers of plasma TV's, and I was surprised when I liked the picture on my Samsung better than I liked the Panasonic. AppleTV is a great choice for high def content. While I love the chart Brian posted and reference one similar there is one thing that has not been mentioned which is content. The VAST MAJORITY of content on tv today was filmed or is still filmed at 480. Those shows that are advertised as being hi-def the majority of those are really just upsampled from 480. So that leaves a small portion (some but not all new shows) that are filmed at 720 or even rarer at 1080. Then factor in who your provider is. Cablevision, Comcast, U-Verse, etc all compress their signals so they can fit all of their programming through the cable into your house. You may see that the game is broadcast at 1080 but you aren't getting anywhere close to that resolution in real life. You're getting a compressed version of 1080. My suggestion if you don't watch much television with fast motion (i.e. sports) then save yourself a ton of money and buy a 720 tv. AppleTV is a great choice for high def content. Not trying to stir an apple / anti-apple fork in the thread but there are several alternatives that do what the AppleTV does with better specs (1080 support) and the same or lower price point and apparently do it better. As just one example look at the Roku boxes. http://www.roku.com They are getting much better reviews than the AppleTV box. The AppleTV boxes are also having major problems playing on older HDTV's. yes, the high def. costs more in my area, so we opted to go without, sports is not really something I watch alot of, but the seated distance will be around 8' -9' so maybe some noticable diffrence from 720 - 1080, I will have to go out and veiw some for myself. Thanks for all the replies. I'm not really anti or pro Apple, I just like the ala carte style of ordering. If you ain't watchin' it, you aren't paying for it. I had a blu-ray player that streamed NetFlix in "high def" which was basically smearvision. It is quicker to download but much more compressed; my understanding of the Apple box is that it takes a bit to download but it outputs i true 720P and looks better than my DirecTV (which generally looks good to my eye). I've also heard that Apple continues to add features to older boxes as their firmware gets upgraded. I haven't heard anything about the Roku boxes, outside of that they exist. The AppleTV is a decent box that people will be buying because of the Apple name on it. Again competitors are doing it with more features, better specs and the same if not lower price tag. Most BluRay players older than about 6 months did near direct streaming which can introduce the 'smearvision' you mentioned. If you buy a BR player off the shelf today most if not all that support services like NetFlix have more NAND flash memory onboard that allows them to cache the streaming content. I rely on my DVR...about half of the blu-ray disks I would get from NetFlix wouldn't play in the player purchased in December of last year. I would get surveys from NetFlix about the quality of the picture, I would complain and the quality would improve incrementally. Eventually I stopped getting surveyed and the picture still sucked. I personally don't think the average internet connection in a household has enough throughput to display streaming HD at full resolution, at least right now. Apple is on the right track caching the feed.